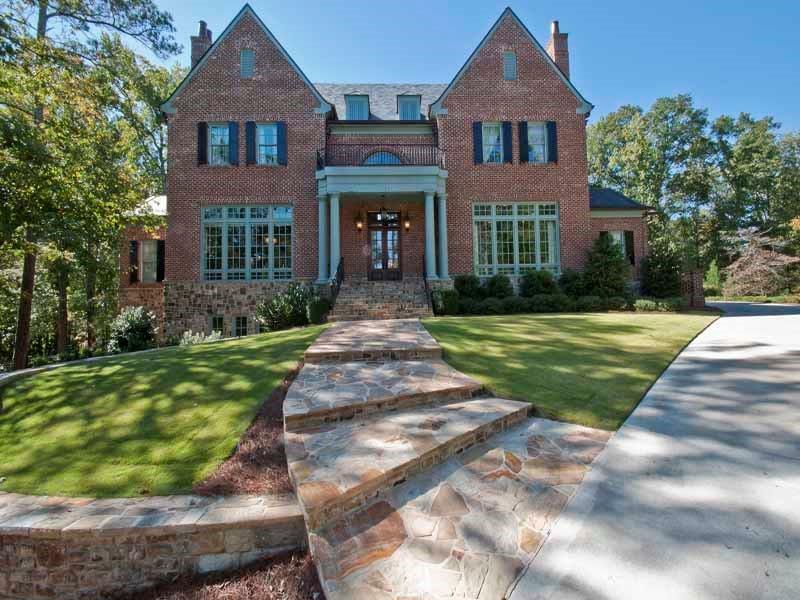 • The property is locate along Woodland Brook Drive in Vinings, Georgia 30339. The land is approximately 1.1 acres and at its highest point, the elevation is 875 feet above sea level. The residence is about two-thirds of the way back with the main floor rising 50 feet above the street level. The property includes and outdoor room and pool-spa combination on the back patio and a three car garage. The architecture is english cottage and the construction materials are primarily brick and stone.